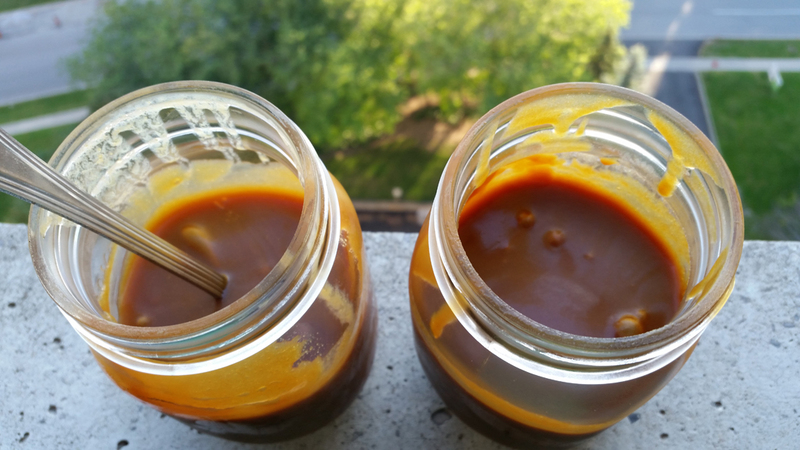 Although they look the same, one of these jars contains burnt caramel, and the other is delicious. I found this recipe on Bake Like a Pro. It took 6 tries before I got it to work. It’s about as much fun as making fudge. It seemed like a really simple recipe but I had a lot of trouble getting this right. 1. 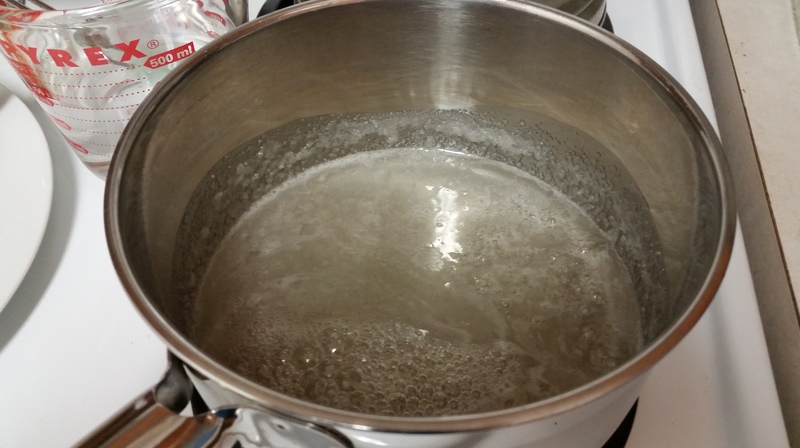 Add sugar, salt, and water to sauce pot, tilt pot to moisten the sugar. A ring of sugar crystals will form but pay it no mind. 2. 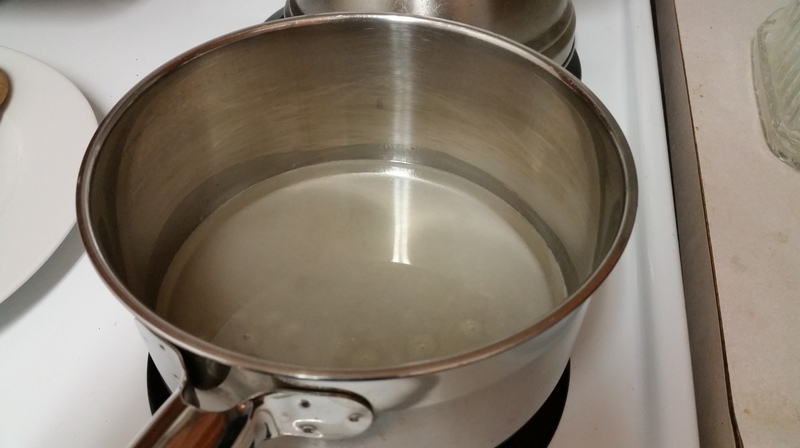 Heat on Low, occasionally tilting the pot, until all the sugar has dissolved and it starts to simmer. 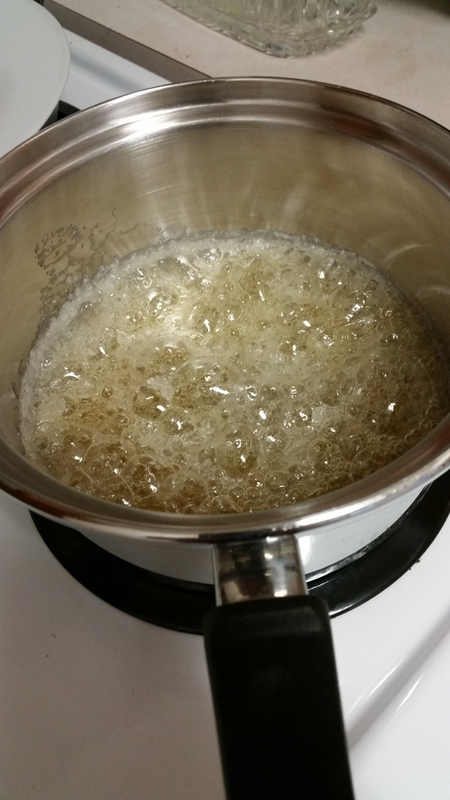 The mixture will have soapey-looking bubbles. This takes forever and is really boring. Don’t leave your stove. I ruined the first batch that way. 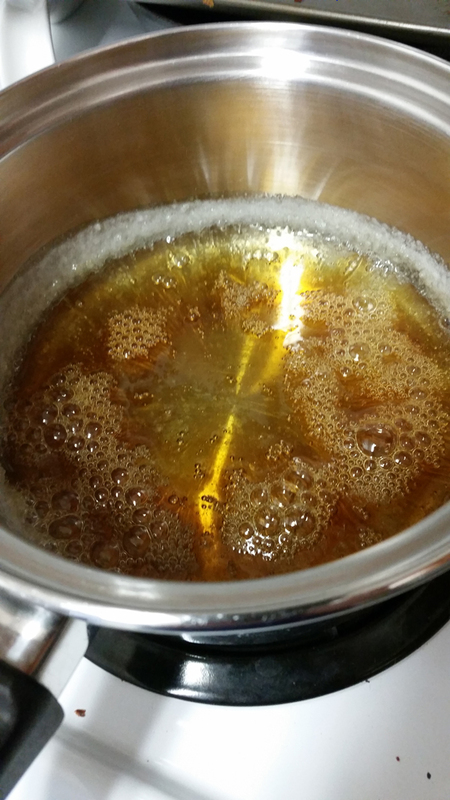 Eventually it reaches full boil and the colour will subtly shift to gold. This part took about 25 minutes before I noticed the colour change. When you tilt the pot, a delightful aroma wafts up now. 3. After about 6 minutes it will darken to orange. 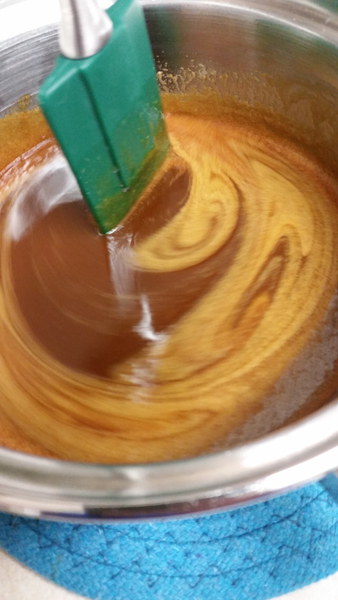 This is the part where it is caramelizing and developing a flavour. You don’t want to yank it off the heat too soon but you also don’t want it to darken to deep copper or it’s burnt at that point. 4. 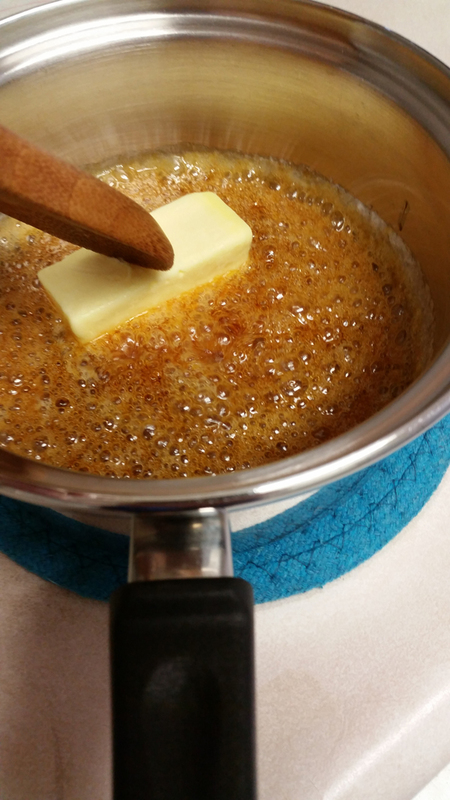 Add cold butter and stir until completely melted. 5. Add warm cream and stir until thoroughly mixed. 6. Return to stove on Low, it took about 7 minutes to get back to a boil. I let it go for about 2 minutes then removed from heat. 8. A skim formed. 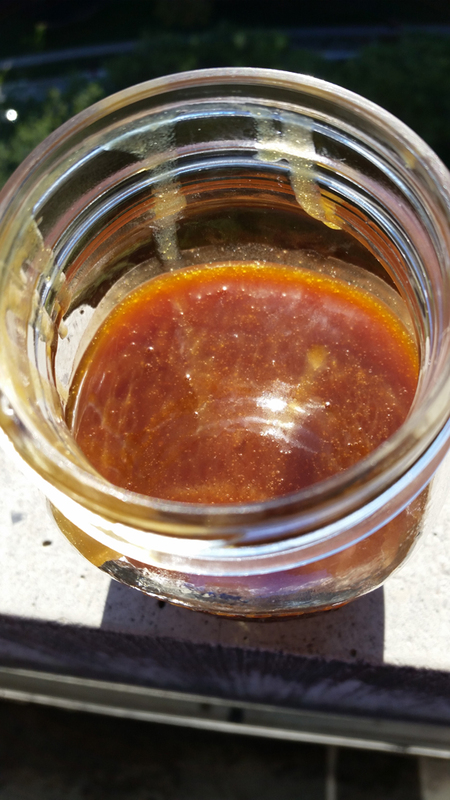 Strained into mason jar and took it outside to admire because it was so pretty. 9. Chill at least one hour and it will thicken up. Verdict: FINALLY! I am too tired and hot to temper chocolate tonight, but I have liquid caramel. Stay tuned for what this goes inside. 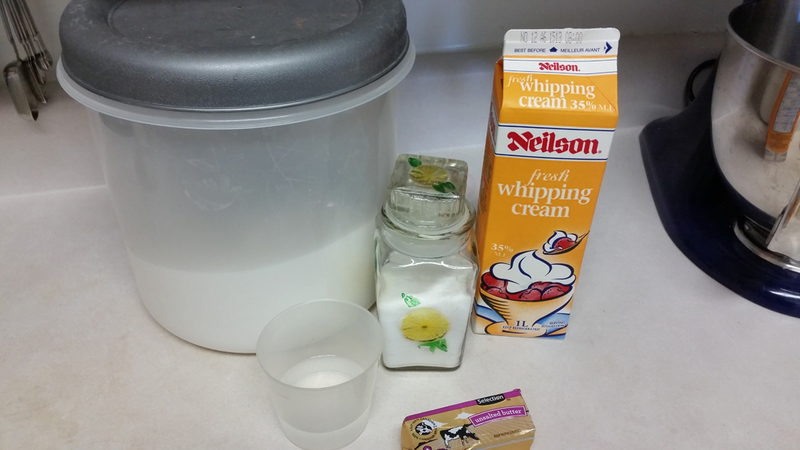 This entry was posted in candy, dessert toppings and tagged caramel, experiment, food, recipes.